Of late, only a few books tend to leave me disturbed. Gets me thinking beyond the premise and execution of a story well done. I remember Lord of the Flies did that for me – but I was much younger then. Hardly second year of college. And now Pierce Brown – an author possibly around the same age as me – goes on to write a crackerjack of a debut, Red Rising and charms the hell out of an audience jaded with the dystopian genre. Including me. I admit, the hype engine and the prepublication heaps of praise lauded onto the young author kept me away from this book. But after having blown through this stellar fusion of ‘Lord of the Flies’ meets ‘Enders Game’ featuring one of the most cold-hearted yet remarkably endearing 16-year old hero, I must say – everything is justified. And the debut deserves more. A richly woven tapestry of intoxicating Japanese Mythological elements (Iron Samurai with Chain-saw Katana? Golly yes! Thunder-Tigers? Never heard of those, but give me some more please!!) and elaborate Steampunk fantasy; featuring a precocious 16-year old coming into her own – Jay Kristoff's explosive much-talked about debut Stormdancer was well on its way to be a runaway success even before the book launched. The hype and explosive premise surrounding the book was higher than the lethal volcanic fumes from Mount Doom of Mordor. Daughter of the Swords (Fated Blades # 1) by Steve Bein. If I actually pause and look over the past few books that I’ve been gung-ho about and have been devouring heartily, a common theme emerges: JAPAN. Yamada Monogatari was an indie piece based on Medieval Japan and Oni and rice-paper ghosts. Was more of a slow-burn – with a Japanese ronin Sherlock Holmes for a hero and the story being a kind of a delicious mystery drawing you in to a power struggle for the throne. 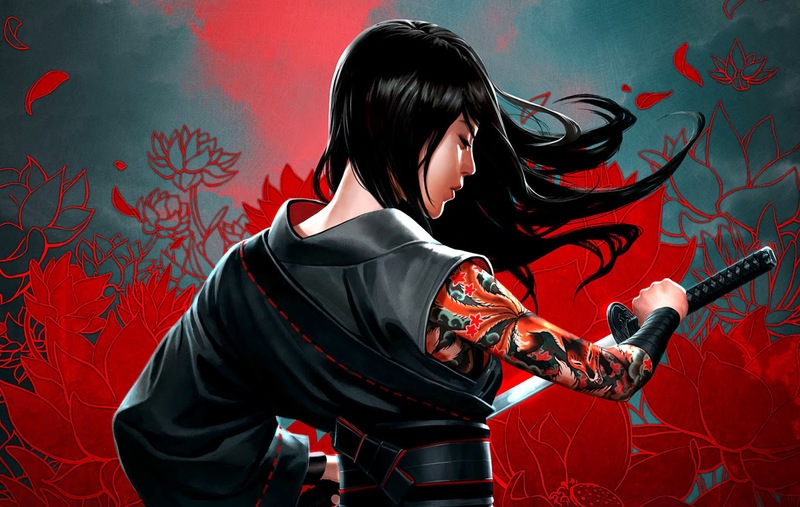 And then I got started on this - Daughter of the Sword by Steve Bein - A noteworthy debut that came in 2012 –And is such an exquisitely written urban fantasy overlaid with detailed Japanese history that it begs to be finished in one sitting. And currently am reading a steampunk fantasy heavily inspired by Japanese mythology – a story called Stormdancer by Jay Kristoff – the end parts of this trilogy (EndSinger) should be hitting the stores right around the corner. Exciting stuff. Mindblowing worldbuilding skills ever. Station Eleven by Emily St. John Mandel - A phenomenal post-apocalyptic novel like none other. This book came highly recommended bundled with the likes of California by Edan Lepucki among others. A genre of post-apocalyptic fiction that is unabashedly realistic and still manages to be poignant, lyrical and stunningly original. I concur. Reading the book was like floating along a gentle river; a meandering journey that you know not the destination of and still manages to be pleasant. Retaining that sense of wonder, déjà vu and puzzlement. All of which characterizes quintessential human life. It is an exploration of how fragile, ephemeral and yet connected are human lives. In more ways than one, it’s a brilliant parable detailing the life and times of people in the backdrop of a deadly apocalyptic virus breakout in the world. Giving us insights unto the fleeting sense of fame and the endurance of art. Albeit graphic art – a comic book that becomes a symbol of hope for a distraught human company in such times fraught with unexpected dangers.